Tue., June 6, 2017, 9:16 p.m.
SEATTLE – With right-hander Felix Hernandez and outfielder Mitch Haniger beginning rehab assignments Tuesday at Triple-A Tacoma, it begs the question: What about the other Mariners on the disabled list? Shortstop Jean Segura should be able to start baseball-related activities later this week in his recovery from a high right ankle sprain suffered June 1 on a slide at second base. 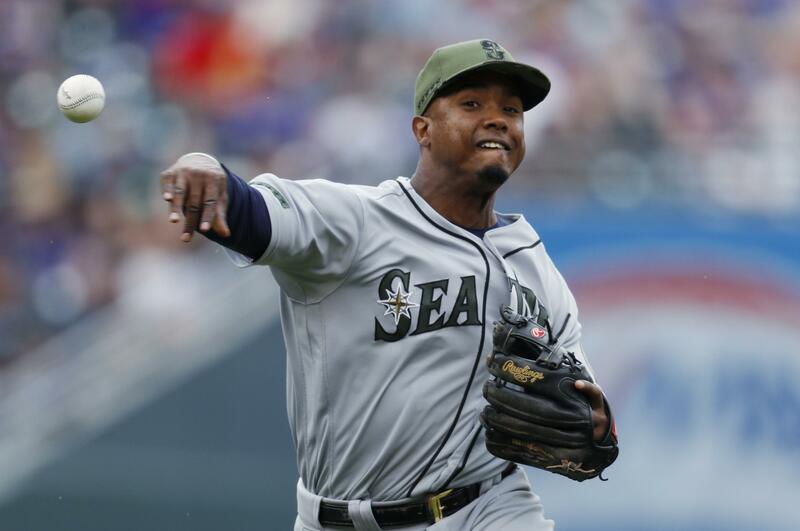 “Segura got rid of the boot,” manager Scott Servais said. “He won’t be limping around in that. There’s a normal gait to his walk. He’s not running or anything like that yet. While Servais is “optimistic” that Segura will beat the initial prognosis of missing one month or more, he also urged caution. Right-hander Hisashi Iwakuma is slotted to pitch another simulated game Thursday in his recovery from shoulder inflammation, which surfaced after a May 3 start against the Los Angeles Angels. If all goes well, Iwakuma could be ready to begin a rehab assignment next week, which would put him in line for a late June return to active duty. Left-hander Drew Smyly, while progressing in his throwing program, still has yet to get on a mound in his recovery from a flexor strain in his elbow, which surfaced late in spring training. SEATTLE – Mariners cleanup hitter Nelson Cruz remains on track to be the American League’s starting designated hitter on July 11 at the All-Star Game in Miami. Cruz holds a lead of 155,600 votes over Matt Holliday of the New York Yankees in the the latest balloting update released Tuesday by Major League Baseball. Cruz is a four-time All-Star who was voted as a starter in 2014 and 2015. Balloting continues through 8:59 p.m. on June 29. All balloting is conducted online at www.MLB.com and all 30 club websites, including www.mariners.com. Voting updates are released each week. Two other Mariners, Robinson Cano and Jean Segura, remain among the leaders at their positions, but each faces increasingly long odds at being voted into the starting lineup. Cano is fourth among second basemen but trails Houston’s Jose Altuve, the leader, by 749,368 votes. Segura is fifth among shortstops but is 591,501 votes by first-place Francisco Lindor of Cleveland. MLB only releases vote totals for the top 15 outfielders and the top five at other positions in its weekly updates. Updated National League results were released Monday. Minnesota’s Miguel Sano is the leader at third base by 97,912 votes over Cleveland’s Jose Ramirez. The Twins open a three-game series Tuesday night against the Mariners at Safeco Field. Lo-A Clinton third baseman Joe Rizzo, 19, continues to validate his reputation as a fundamentally sound left-handed hitter, which is what prompted the Mariners to shell out $1.5 million last year after selecting him in the draft’s second round. Rizzo went 8 for 18 with eight walks last week in six games for the LumberKings, which resulted in a .615 on-base percentage and his selection as the TNT player of the week in the Mariners’ farm system for the period of May 30 to June 5. After starting the season in extended spring training, Rizzo joined Clinton on April 23 as the Mariners chose to test his development rather than wait, as once seemed likely, to assign him to short-season Everett. He went 7 for 12 in his first three games at Clinton and, overall, is batting .288 with a .414 OBP in 36 games. While he’s yet to show much power – three homers in 331 career plate appearances – the Mariners believe that will come in time. Triple-A Tacoma right-hander Andrew Moore, 23, continues to solidify his status as the organization’s top pitching prospect. He limited opponents to two earned runs and seven hits in 12 innings over two starts while compiling a 0.83 WHIP. He is 2-0 with a 3.19 ERA in six starts since his promotion from Double-A Arkansas. Hi-A Modesto right fielder Joey Curletta, 23, was 8 for 23 with three homers and eight RBIs while compiling a 1.254 OPS (on-base percentage plus slugging percentage) in six games. The Mariners acquired him in March from Philadelphia in a trade for switch-pitcher Pat Venditte. Double-A Arkansas right-hander Tyler Herb, 25, won his last four decisions, including two last week when he held opponents to three runs in 12 innings. A 29th-round pick in 2014, he is 4-2 with a 3.78 ERA in 11 starts and has 64 strikeouts in 64 1/3 innings. Lo-A Clinton first baseman Nick Zammarelli, 22, shows signs of emerging from a season-long slump by going 7-for-17 in five games. An eighth-round pick a year ago, he had a .180/.288/.270 slash in his previous 28 games. Published: June 6, 2017, 9:16 p.m.